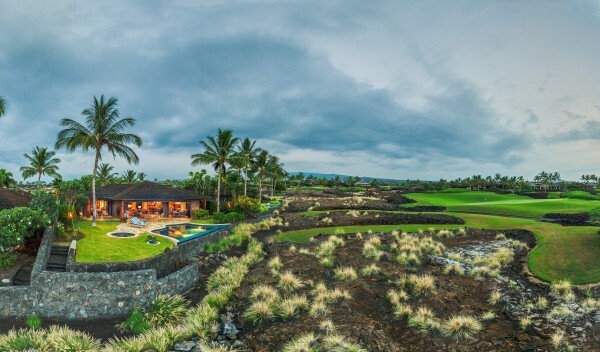 Located in a private club community, Kukio, this 5 bed, 5.5 bath home boasts picturesque golf course and ocean views. 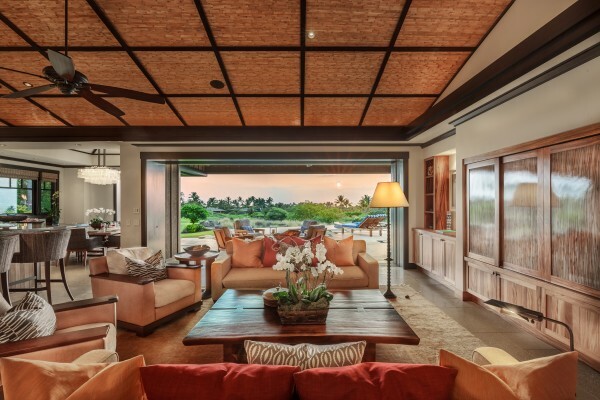 The great room features gorgeous bamboo vaulted ceilings with mahagony trim and pocket glass doors open up to a poolside lanai. Maryl-designed and built, the home’s quality woodworking and thoughtful layout makes this home a unique retreat. The Pacific Ocean views invite you to the infinity edge pool and spa. 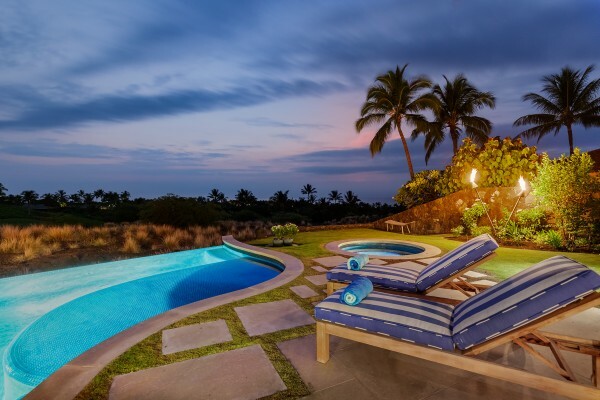 Relax by the pool or sit in the shade with a Mai Tai in hand. 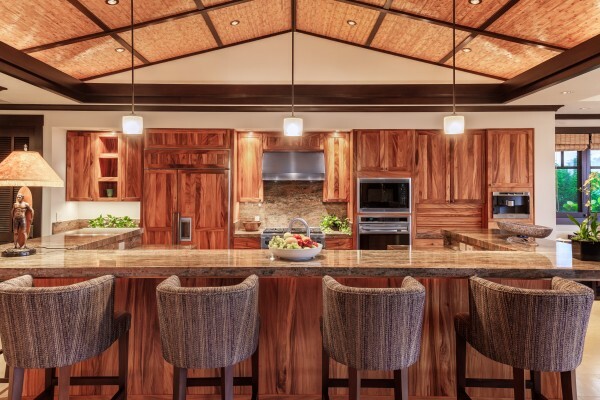 Designed for entertaining, the kitchen features custom plank monkeypod cabinetry and high-end appliances. 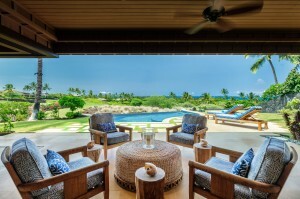 The dining room adjacent to the kitchen opens up to the lanai and outdoor living space. All five bedroom suites have their own exterior entry and outdoor shower gardens, which enjoy serene privacy. 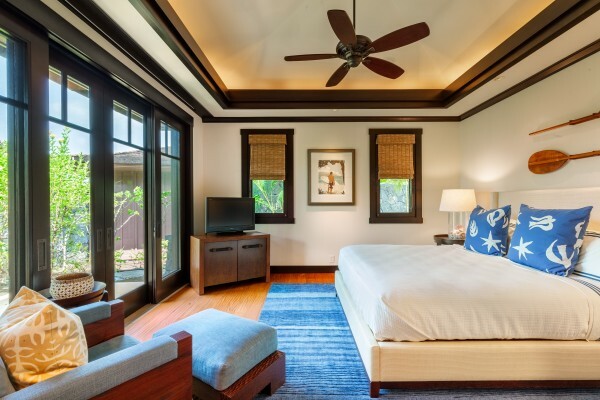 Honed teak floors add an elegant texture to the bedrooms. 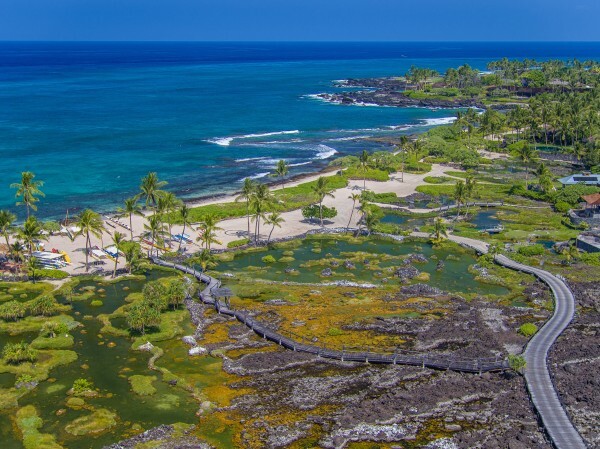 Kukio Golf and Beach Club offers world-class amenities just a short golf cart ride away from the home and includes dining, a full service clubhouse, spa and ﬁtness facility, 10-hole Tom Fazio-designed Short Course, 18-Hole Tom Fazio-designed Championship Golf Course, and an outdoor ocean sports program. For more information about this property or to schedule a tour, please contact me.